Earlier this month, utilities became eligible to participate in federal renewable-energy tax credits. Solar companies at the Solar Power International conference consider how this could impact them. As the solar industry celebrates the passage of $18 billion in renewable-energy tax credits, a more overlooked portion of the package is also generating plenty of discussion among solar companies. The bill signed into law earlier this month opens the credits up to utilities, which until now weren't eligible to receive the credits. And companies are trying to figure out just how that provision will impact the industry. 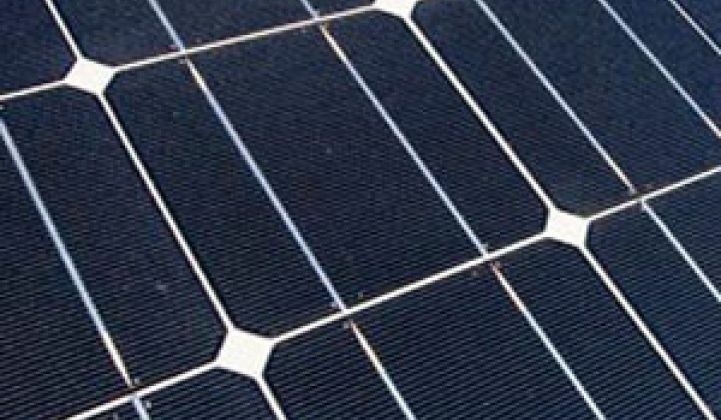 Julia Hamm, executive director of the Solar Electric Power Association, said that while the eight-year investment tax credit is an important win, the removal of the restriction barring utilities from taking advantage of the credits is the most exciting piece of the bill for her association. "A lot of utilities do want to operate and own and they have the tax appetite [to take advantage of the tax breaks]," she said. "Now we have more options available – owning is now an option. The more opportunities they have to incorporate solar into their general mix, [the better]. And this could be the option needed to make it a reality for them." More utilities entering the solar industry could have myriad impacts. Southern California Edison, which in July said it would use First Solar (NSDQ: FSLR) panels for the first phase of its 250-megawatt commercial-rooftop project at a fully installed cost of $3.50 per watt, reportedly told Suntech Power it is only willing to buy solar panels at more than 20 percent below average market prices, according to Dow Jones Clean Tech Insight (via The Wall Street Journal's Environmental Capital blog). "It probably scales a large part of the industry to see that they have competitors willing to sell [panels] for so much lower than they are willing to sell them," Hamm said, adding that she can't fault the utility for wanting low-cost, clean power. She also said that the drive toward lower prices is good because it helps drive innovation in the industry. "Just like the silicon shortage was in the short term bad for the industry, you could look at it in the long-term and it's a plus [because it drove innovation]," she said. "I look at this as just another of those factors." It's also unclear how the entrance of utilities could affect companies financing projects through power-purchase agreements, in which they pay the upfront costs of an installation in exchange for long-term contracts to sell the electricity generated from a system. Now that utilities can take advantage of the credits themselves, they may not need to rely as much on third-party financing. "It'll be interesting," Hamm said. "It's too early to say what's going to happen. There's certainly a chance that companies whose sole business model is PPAs may need to slightly change their business model. This doesn't mean they will go out of business, but may mean need to slightly shift business model to something else - innovate." Some companies also are wondering whether utilities might get involved in financing residential and commercial installations themselves, becoming a competitor to companies that provide PPAs. After all, they'd essentially be selling electricity to existing customers - a business model they know well. But a number of industry insiders, including Gary Mull, vice president of marketing for Akeena Solar, think utilities will likely focus on larger (so-called "utility-scale") installations, which deliver lower costs per watt for power generation. "My immediate guess is they are going to look at the larger opportunities," Mull said. "It's just another power plant option, but would they do it roof-by-roof – particularly on smaller roofs – instead of in [larger projects]? I don't think that's the priority." In a panel Wednesday, Lyndon Rive, CEO of SolarCity, said that small systems are "very very" difficult to install. "We may end up doing services for the utility," he said. "But I could not imagine – and correct me if Im wrong – the utility getting involve in the logistics and everything that goes into installing a 5-kilowatt system." But Dave Mohler, chief technology officer of Duke Energy, said the company does expect to get involved in PPAs and added that utilities have the advantage of lower-cost capital than PPA providers today. "As solar becomes more and more commercially competitive, there's not going to be a lack of opportunity for a lot of people to make money along the value chain," he said. "I do not see it being, quote, utility-dominated. I do think I see it becoming utility-integrated." Mohler added that he believes installing solar panels wouldn't be much more difficult than installing meters – an idea that others, including Mull, were quick to contradict. Either way, utilities are moving full-speed ahead with their own solar projects, which could help provide continuity to the industry, Hamm said (see Solar Industry Talks Economy). "While we could maybe see a short-term downturn in residential and commercial markets –although hopefully not [now that the new tax credits have passed] – the utility [market] can be a bridge to keep the industry growing," she said. Utilities in states such as California have been scrambling to meet requirements that they get a certain percentage of their electricity from renewable sources. They will still be working to meet those targets in spite of a weak economy, Hamm said. "They're not going to say 'Time out, pause,' because the economy's bad," she said. Not everyone sees the entrance of utilities as a good thing, however. Ed Gunther, author of the Gunther Portfolio, earlier this month wrote a post making it clear that there are still plenty of unanswered questions that make him skeptical (see Gunther Portfolio post). "Are monopolistic Electric Utilities poised to become change agents to stave off global warming by investing in large scale renewable energy, solar, and photovoltaic power plants?" he wrote. "Will they play fair with independent renewable energy power producers connecting to their grids? Why were no concessions sought from Utilities?" -- Reporter Jeff St. John contributed to this story.